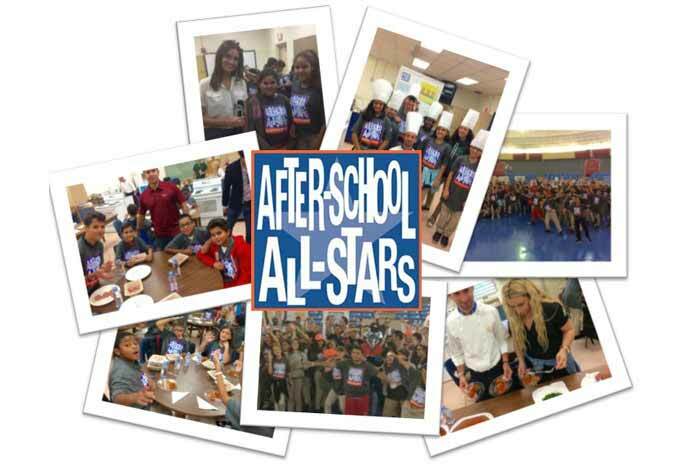 MIC Food® proudly supports today’s youth through ongoing partnership with South Florida Afterschool All Stars, a non-profit organization created to provide opportunities for at-risk low-income middle school children through mentorship and educational after-school programs. 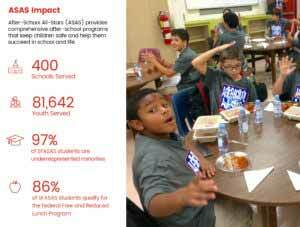 After-school programs keeps kids safe, improve academic performance, promote student well-being, and help communities. Each day, After-School All-Stars South Florida provides free, high quality after-school programs for approximately 6,000 low-income students at 32 schools. We believe the After-School All-Stars program model is distinct in significant ways, making it an ideal partner for local schools and communities. • Afterschool programs are serving a high need population. The Afterschool Alliance’s 2009 America After 3PM study revealed that an average of 67 percent of kids participating in afterschool programs qualify for free/reduced price lunch, 14 percent are Limited English Proficient, and 11 percent have special needs/disabilities. WHO MAKES UP THE AFTER-SCHOOL ALL-STARS COMMUNITY? SFASAS serves over 2,000 low-income at-risk youth in 17 middle school sites providing after-school services free of charge in Miami-Dade County. SFASAS also provides fee-based after-care services in an additional 19 elementary and middle school locations.